Four weeks of press screenings precede the festival itself and continue during the public event proper. Here is a look at some of the titles appearing between 18-22nd September and our initial thoughts on what we’ve seen so far. With 243 features in total on offer and 15 possible to view last week; it’s a bite-sized guide to which we’ll continue to add. In this darkly menacing pot-boiler, a young woman (Buckley – War & Peace, Taboo) who is forced to conform to how her family think she should behave finds a scruffy, moody and potentially dangerous romantic attachment (in the form of poet and singer Johnny Flynn). The good times don’t last though. Buckley masterfully holds the screen throughout as the film explores whether people can change, if our deepest nature’s can be escaped and the pressures of external expectation. Scenes of blissful love and freedom are tasteful and avoid gratuitous cliché. That last act. What. The. Hell. 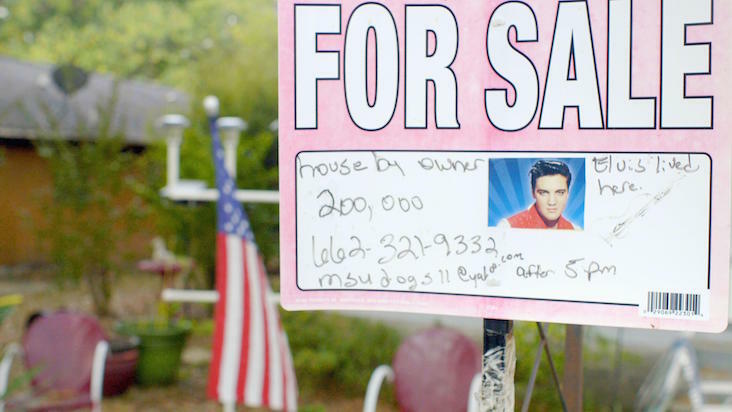 Eugene Jarecki seeks to draw a parallel between the rise and fall of Elvis with that of the Empire of America and its foundation dream. He uses The King’s 1963 Rolls Royce to take a road trip across the country to test out this theory. It hosts a series of celebrities, the best of which are Mike Myers and Ashton Kutcher – for very different reasons. When a celebrity (Kravitz) and her assistant (Kirke) feel under fire from the outside world, something goes terribly wrong. Assistant turns detective as she tries to work out what has happened. John Cho turns up for some reason, he’s an actual detective but doesn’t really do much. Is everything as it seems? Will you stick around long enough to find out? Contrary to prevailing opinion, this is pretty boring and irritating, but at a tidy 93 minutes it’s fairly harmless. 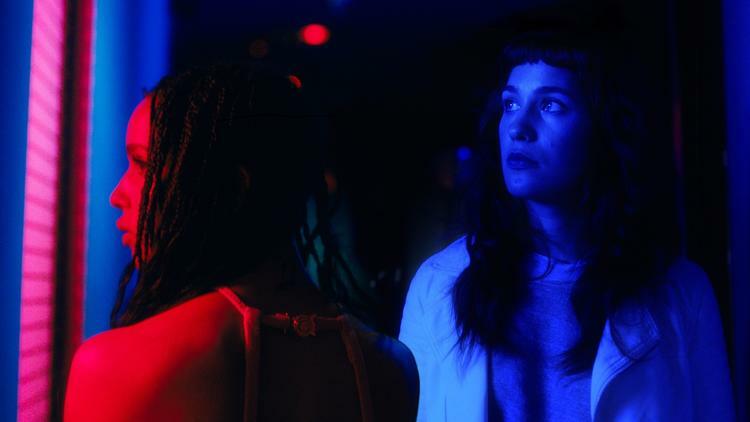 Aaron Katz has a glorious visual palette with especially slick night scenes even if the high-end, moneyed settings and glamorous actresses tend to lean towards that effect anyway. The opening sequence is intriguing as the relationship between Kravitz and Kirke has crackling nuance. However, Kirke in isolation isn’t given enough to do and the sleuthery of the middle hour is paint-by-numbers. Hmm, to explain what’s going on here. It won’t do it justice but for us – you need to find a screening. This is a French project with a Japanese anime style, there’s a lot of hip-hop in the soundtrack too. Angelino feels down-trodden and out-of-place in Dead Meat City. He lives with cockroaches and his friend Vinz who has a flaming skull for a head. Suddenly people are after ‘Lino’ and the feature rattles along at a pace from there on in. Firstly, it’s hilarious. Even with subtitles there are some really sly jokes. It’s a highly sensory experience where physical movement onscreen combines with terrific music to create momentum and a bombardment of stylishness. The storyline doesn’t matter too much as it’s so much fun. Imagine a car chase in an ice cream van where Vinz is supposed to be the wing-man getting rid of the assailants, but at one point is carefully crafting the perfect Mr. Whippy to throw at their pursuers with chaos around him and while in the utmost danger. It’s a tiny touch, but illustrative of what this excellent collaboration of minds offers. 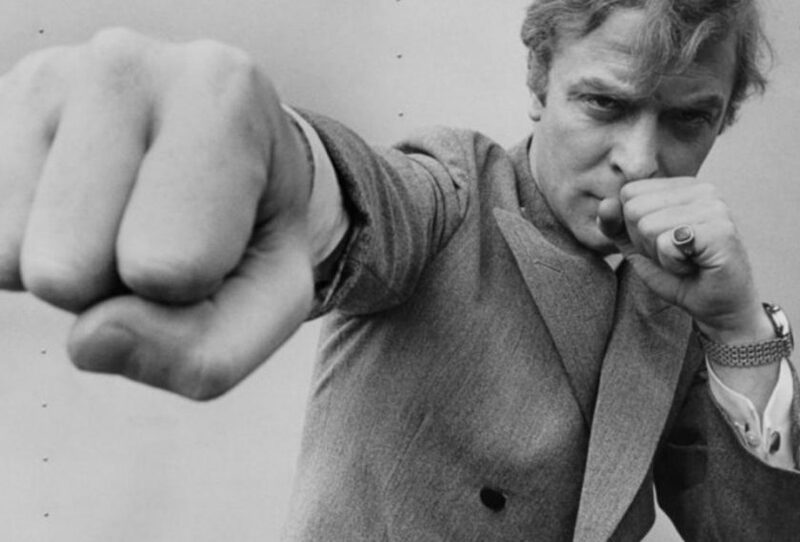 Let Michael Caine take you by the hand for this walk through the sixties as he and his peers explain how and why they think they prospered when they did. Pals of his include Paul McCartney, Roger Daltrey, Marianne Faithfull and Twiggy to name very few. It’s a slick blend of archive footage and contemporary commentary in a way, for example, Promised Land made over-complicated. It still contends with politics, the sixties in context, class, creativity, culture and all from those who helped to form it. This inspiring documentary is full of interesting stories and shows how these creative icons rose to their status through a combination of luck, talent and the shifting mindset of the baby-boom generation. They may have got free education and profited from a buoyant post-war economy, but would you trade that for a world without The Beatles, The Stones, David Bailey, Mary Quant and countless others? It might literally have rose-tinted spectacles on, but it at least pays lip-service to some of the not-so-good aspects of the decade; largely the drug culture. James seems to have a reasonably normal life. 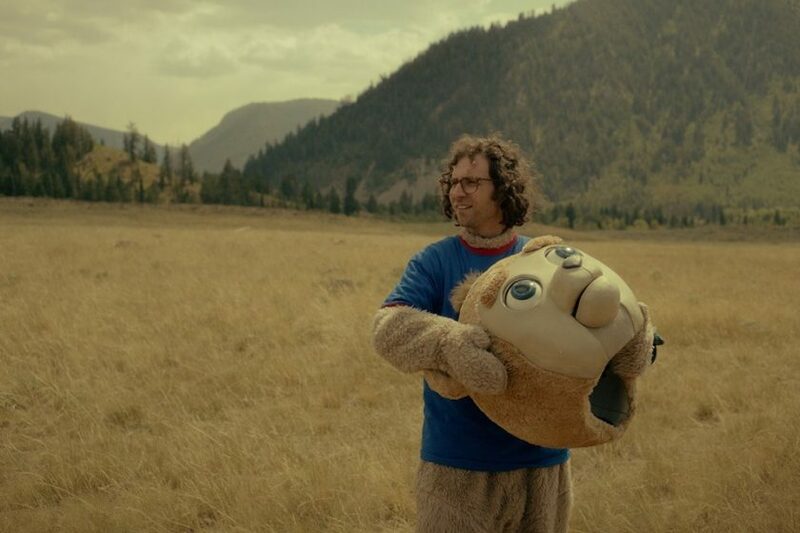 Sure he can’t go outside because of the toxins and his only entertainment is a TV show called ‘Brigsby Bear’ and his only interaction with people other than his parents is through his computer, but hey we’ve all been there. However, James has in fact been kidnapped for the last 25 years and when he returns to the world and his real parents he struggles to cope. What he does in order to make sense of his new life is brilliant. Oh, Mark Hamill is his ‘bad dad’ and Clare Danes is his psychiatrist too. This is just a wonderful and hilarious indie. It is so funny it sometimes makes you forget how serious this situation would be in another context. The TV show ‘Brigsby’ is a work of genius and writer/star Kyle Mooney’s enthusiasm is infectious. Take the tissues too; it gets emotional at the end. The 61st BFI London Film Festival in partnership with American Express® announces its jury line-up for this year’s Festival Awards.